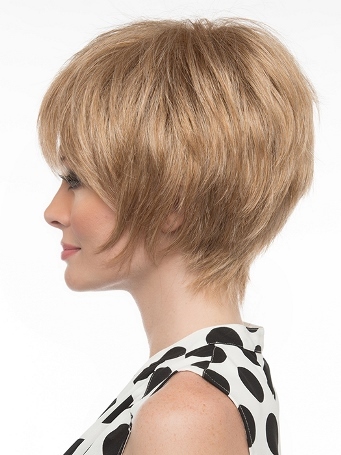 Cassandra is a stylish, short wig made in a large cap with plenty of face-framing fringe that flatters effortlessly. 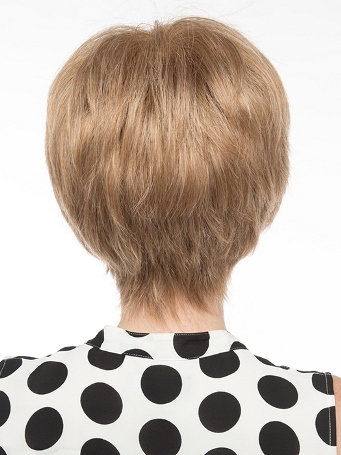 Soft, razored edges at the sides and nape keeps this look edgy and chic.. The open top design ensures complete coverage and maximum styling flexibility whilethe petal patterned netting adds strength and support to the Cassandra cap. Bangs: 4" Crown: 3" Sides: 3" Nape 2"